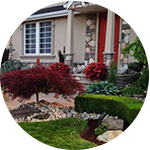 A-Lawns & Stone is Mulching & Decorative Stone Design and Hardscape Construction Pool Scaping / Outdoor Kitchens Paver Patios, Driveways and Walk Ways Retaining Walls Cultured / Flag / Blue Stone Install Ponds / Landscape Lighting and More. 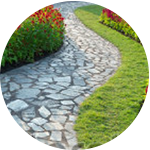 A-Lawns & Stone is a premier full service property maintenance and design team of highly skilled professionals. We specialize in residential and commercial properties. We are dedicated to providing all of our customers with a “worry free” experience. We operate as a dynamic & versatile corporation ranging from grass cutting maintenance to snow removal and decorative stone installations. 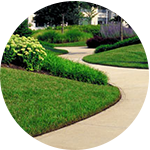 We strive to be the answer to all your facility or home’s landscape needs. Transforming community living spaces, cityscapes, and industrial parks into a work of art. 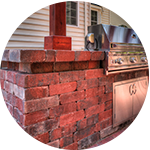 Transforming your backyard into the perfect spot for outdoor parties and get-togethers. Providing you with all the resources you need for commercial property maintenance. Turning your lawn into a beautiful space for outdoor entertaining and relaxing.